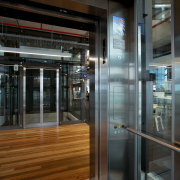 Schindler Lifts NZ supplied and installed three Schindler 5400 MRL passenger lifts to the ASB North Wharf building. 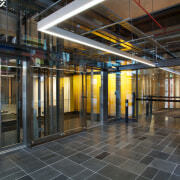 It's not just the sky bridges and open floor plates that help to animate the interior of the ASB North Wharf building glass lift shafts are also a dynamic feature of the atrium. 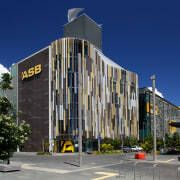 The lifts were supplied and installed by Schindler Lifts NZ. 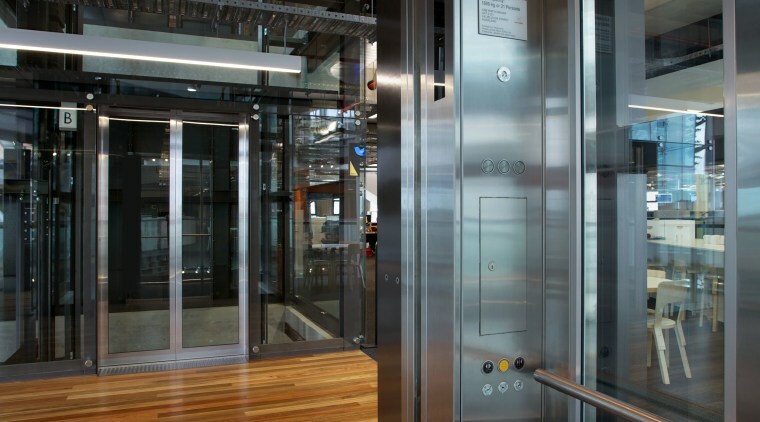 Three Schindler 5400 MRL passenger lifts with glass walls and doors operate within a glass-walled shaft, providing the main vertical transportation. National sales business manager John McGinley says because all the lift technology is visible, an especially high standard of workmanship was vital. "Everything is on show with these lifts. They have an aesthetic as well as a functional role to play, and this determined the high-level finishes. 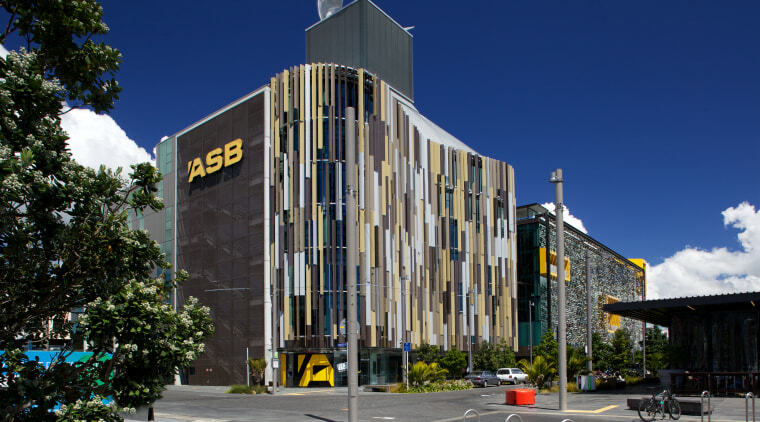 The glass doors and walls of the lifts are framed with high-quality stainless steel." 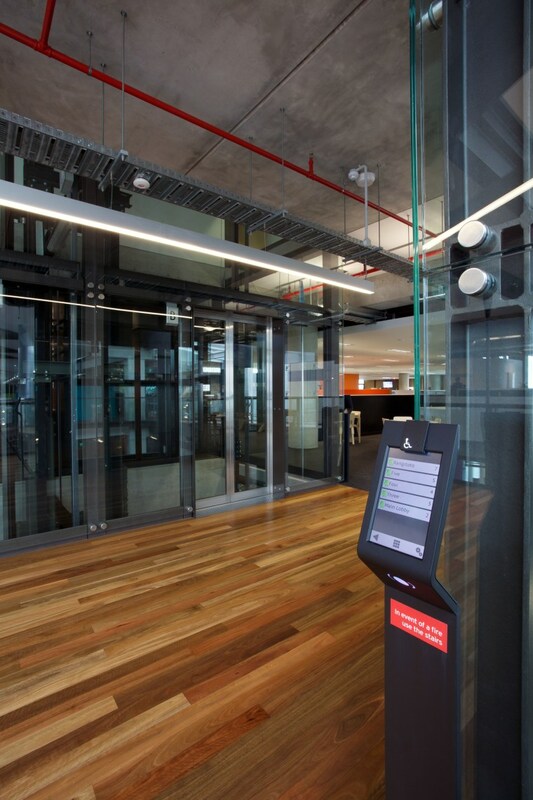 The lift system incorporates a passenger occupant requirement terminal (PORT), with a touch-screen interface. "Passengers simply input their destination and the PORT directs them to a lift," says McGinley. 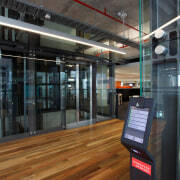 "The only interface inside the lifts are door open and close buttons. The PORT system can adapt to individual users, through the in-built security interface. For example, a wheelchair user can be assigned a lift with more space or fewer people, and a VIP user can be assigned an express lift with no other passengers." Other Schindler products in the building include a large-capacity 2600 passenger-goods lift, a 3300 AP passenger lift and two Schindler 9300 escalators.